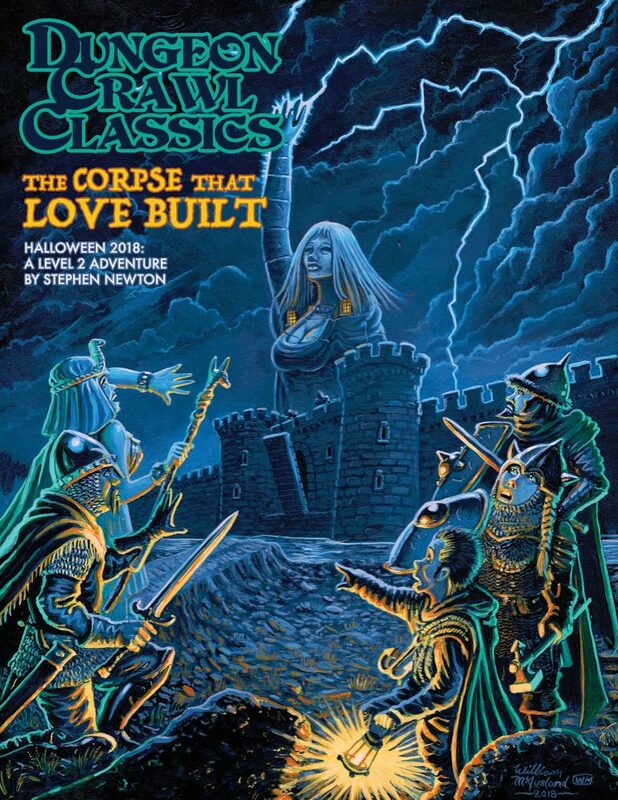 With all the photos, merriment, and high-profile Kickstarter announcements that were made during GaryCon 2017, a couple of projects that I contributed to may have gone under the radar. 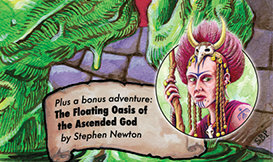 In this first level adventure, the players travel to the mysterious Floating Oasis where they must navigate the perilous cloud-caverns while facing off against a dangerously-indifferent deity. 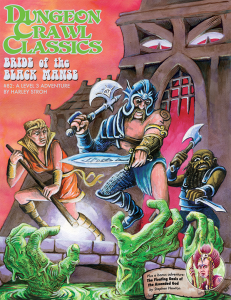 Floating Oasis of the Ascended God is a new mini-adventure I’ve written which has been included in the reprint of Harley Stroh’s DCC#82: Bride of the Black Manse. 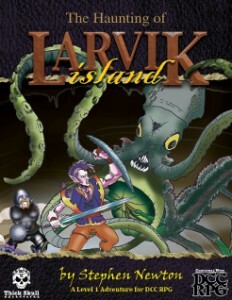 It’s a tidy little adventure for 1st-level players which can be completed in one session. 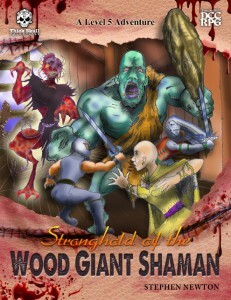 I had a fun time playtesting this with Game Kastle regulars as well as friends and family. 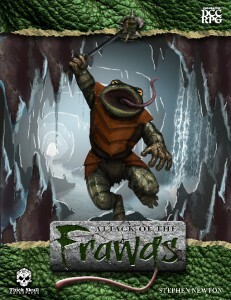 Also announced was DCC #91.2: Lairs of Lost Agharta which includes 3 entries I contributed. This is an add-on for Harley Stroh’s fabulous DCC #91 Journey to the Center of Aereth. 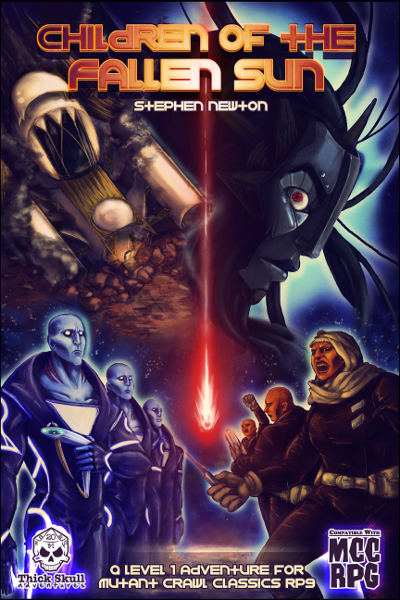 If you have not checked this adventure out, you owe it to yourself to pick it up. It’s no surprise I’m a huge fan of Harley’s, but I honestly believe that Journey to the Center of Aereth may be his equivalent to the Drow series. 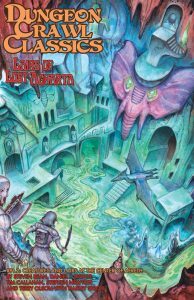 Regardless, I’m pleased that I was able to contribute some material to Lairs along with fellow DCC authors Steven Bean, Daniel J. Bishop, Tim Callahan, Terry Olson, and (of course), Harley Stroh.